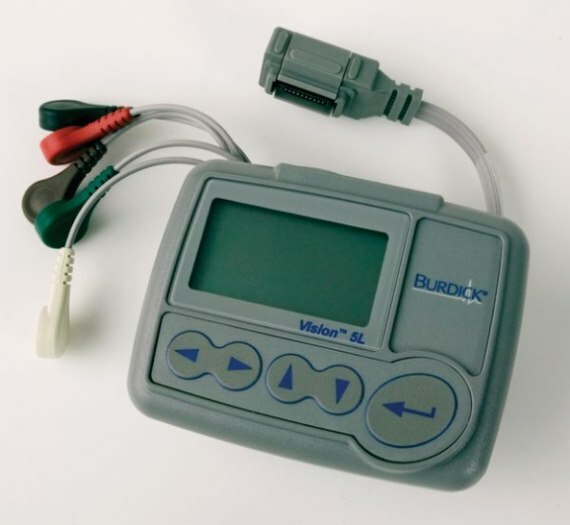 A Holter monitor is a battery-operated portable device that measures and records your heart's activity continuously for 24 to 48 hours. The device is the size of a small camera. It has wires with silver dollar-sized electrodes that attach to your skin. 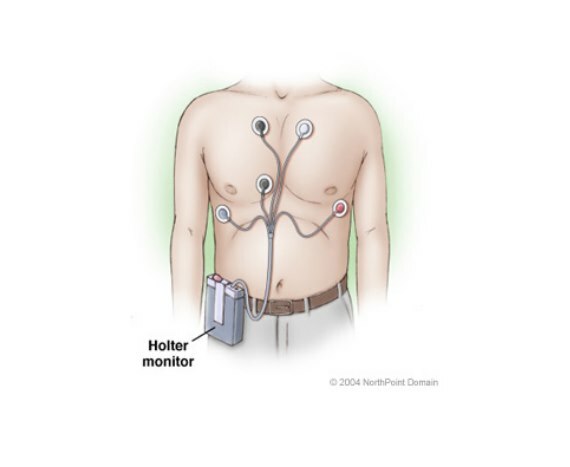 The Holter monitor records your heart's activity as you go about your daily activities.